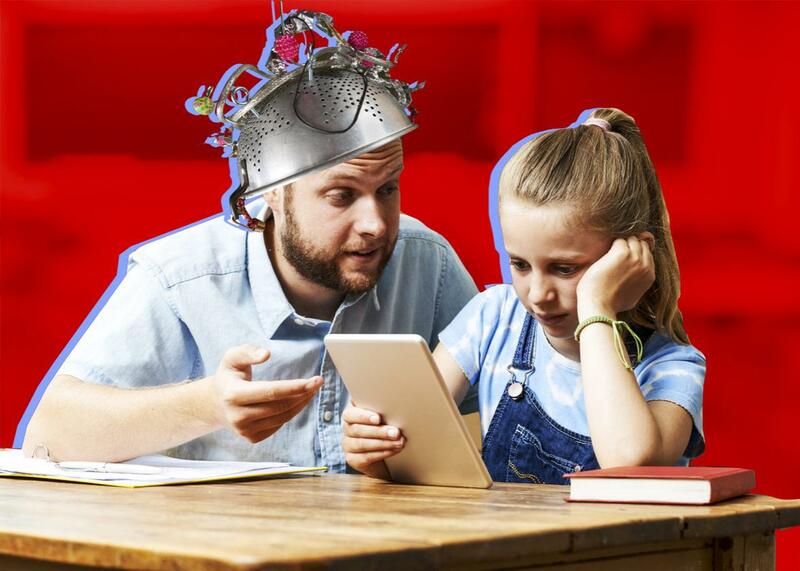 Apps and devices attempt to solve classroom boredom with technology. Can technology solve the 2,500-year-old problem of boredom in the classroom? Photo illustration by Natalie Matthews-Ramo. Photos by Highwaystarz-Photography and Thinkstock. With a guilty start, I realized that while listening to a professor explain new technology designed to identify and avert student boredom, I had completely tuned out. Maybe I should have been wearing the headgear, called functional near-infrared spectroscopy (fNIRS to its friends). Ayaz proposes fNIRS as a uniquely modern solution to an ancient problem. Student engagement has been a concern almost since teaching began. Aristotle used to walk around with his students while he taught, keeping their restless bodies occupied in a West Wing–style pedagogy known as the Peripatetic school. Active as it was, his style still leaned on lecture and memorization, and this (minus Aristotle’s strolling) would be the preferred method of scholarship until the 17th century, when Czech education reformer John Amos Comenius wrote that learning should be “gamesome” in order to keep students with “flickering wits” from growing bored. We now live in something like Edison’s future, with technological equipment playing a huge role in the classroom, but the old concern of student engagement remains. If anything, it’s grown, as the same sorts of tools that have revolutionized learning have also provided many more rivals for student attention. The average 18-to-24-year-old, for example, sends 3,853 texts a month, which is about 128 messages each day. Even if a student’s phone is turned off in class, imagine the distraction a student suffers just knowing those messages are there, accumulating silently. Add this to the fact that we’re already inclined to seek distraction in school, with 82 percent of U.S. high school students reporting being sometimes or often bored in class, and it begins to seem like a wonder that anyone learns anything at all. Archer was addressing a common conundrum of educational technology: that it can end up contributing to the problem it was created to fix—an “endless feedback loop,” as a frustrated professor I know put it. Classroom distraction doesn’t just come from the phones in students’ pockets; it can also result from the very gadgets invented for the classroom, gamified educational tools that often aid and abet short attention spans by catering to the most restless. And that does seem to be who all this educational technology appeals to most: not students but teachers, who spend their lives looking out onto rooms full of faces, some alert, some yawning, some flat-out asleep. Who might come to dread students like, well, like me, whose mind wandered to Doc Brown’s hair while listening to Dr. Ayaz. “I’m sorry,” I said. “Can you explain what this indicates again?” I pointed at the screen we were looking at, 16 black boxes with squiggling lines running across each of their faces. Each box represented a region of the brain that the headwear monitors, all in the prefrontal cortex, the area right below the skin and bone of the forehead. Something clicked, and for the first time I really felt I was finally hearing him. When you’re engaged in listening, Ayaz continued, your brain synchs itself up with the brain of the person you’re listening to, a kind of unconscious mimicry that sounded more sci-fi than the fake sci-fi I’d been imagining. This brain synching is how we pass information to each other, whether it’s a mathematical concept or a personal story or Ayaz telling me about his headwear.